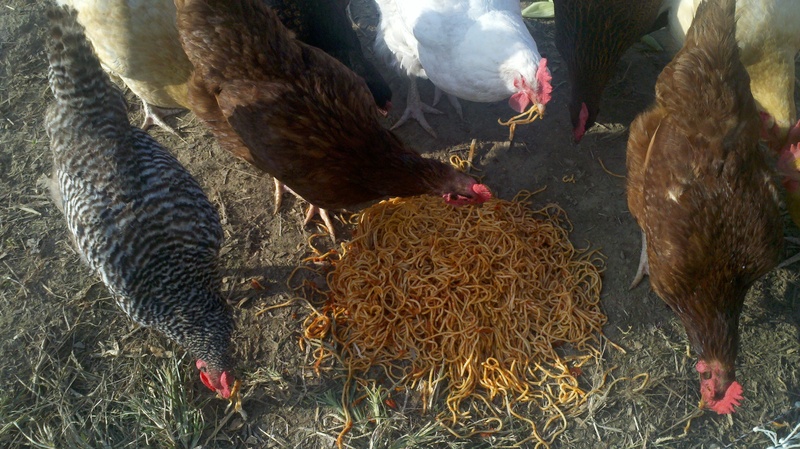 Spaghetti dinner for the chickens (11/11/12). 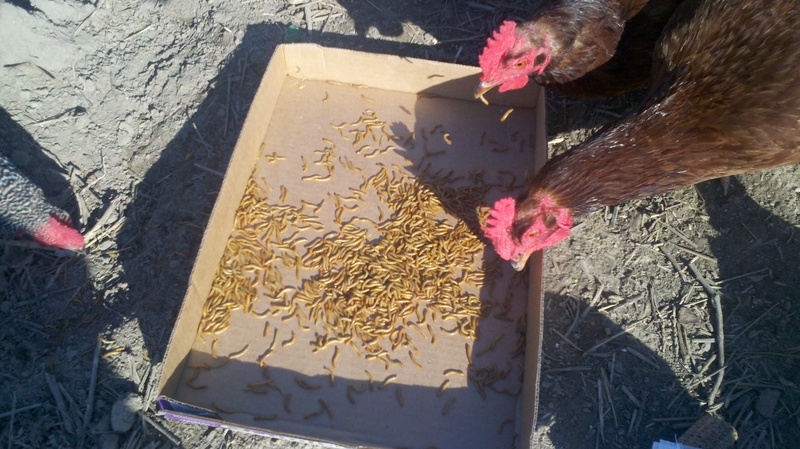 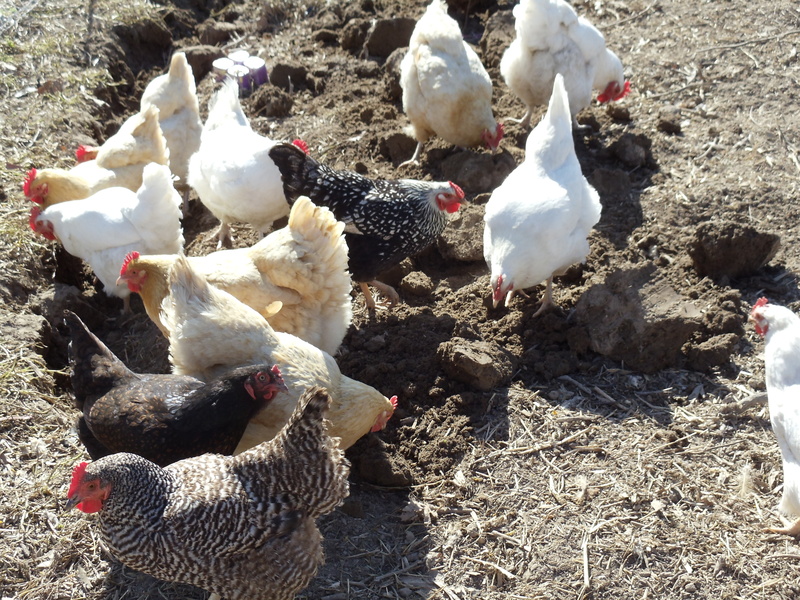 Chickens having a 1000 meal worm snack from wormman.com, it took them <10 minutes to finish the worms (11/12/12). 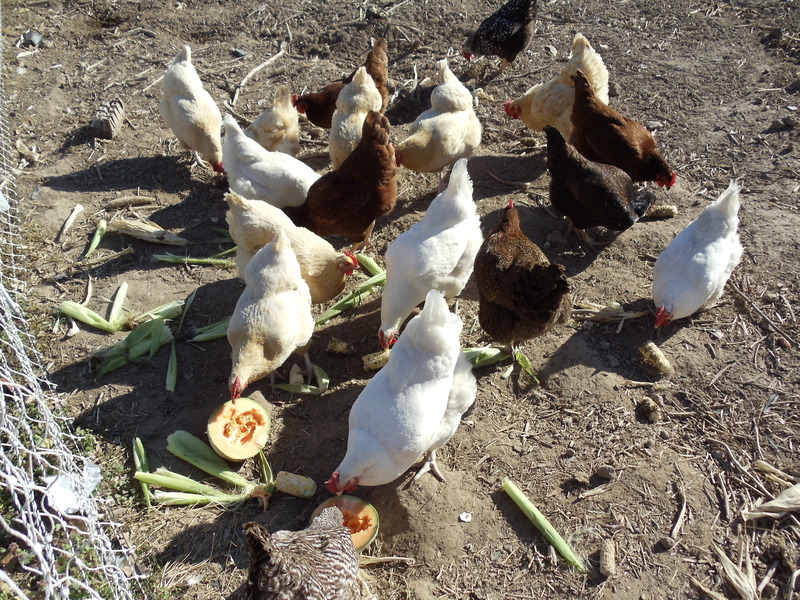 Chickens enjoying some cantelope and corn on the cob (4/8/12). 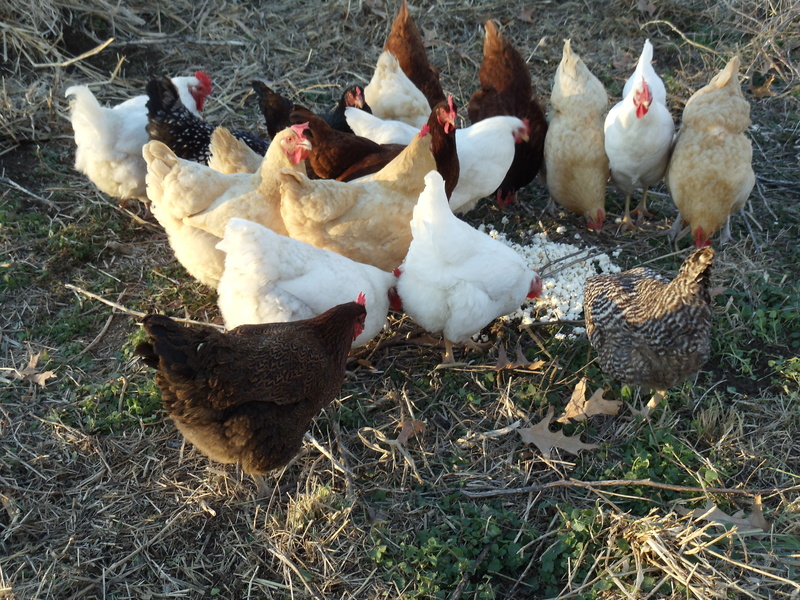 Chickens having some earth worms for snacks. 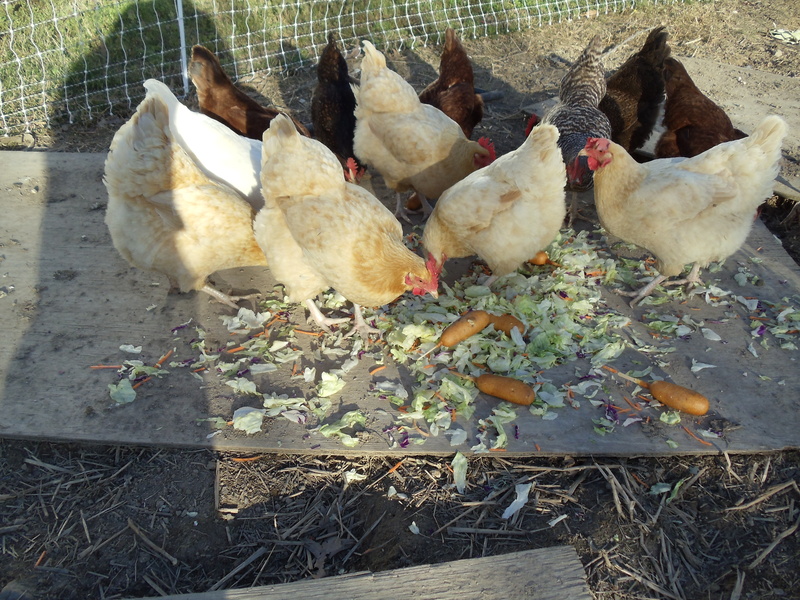 Chickens having salad and corn dogs for dinner. 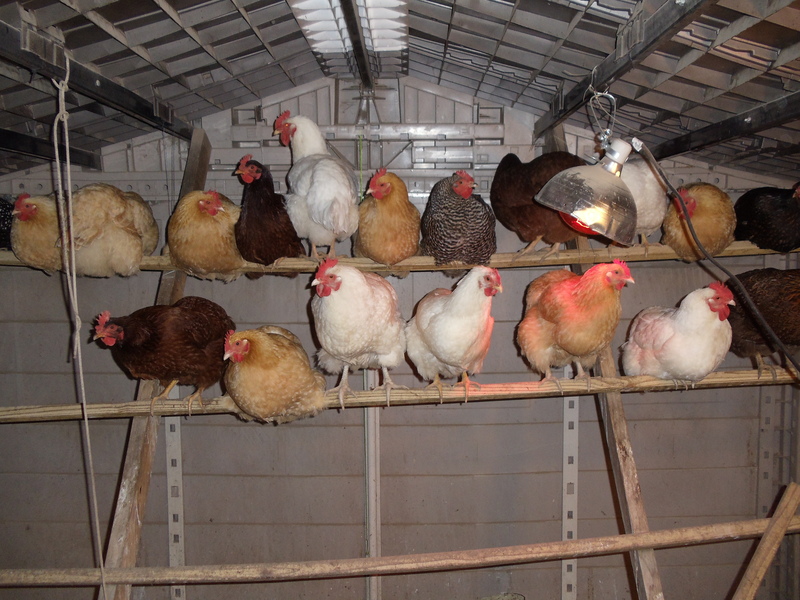 Chickens in their bed after a day of eating bugs, weeds, and corn.